For many in the industry, construction technology is an exciting place to be right now. That's at least the case for Garrett Harley. 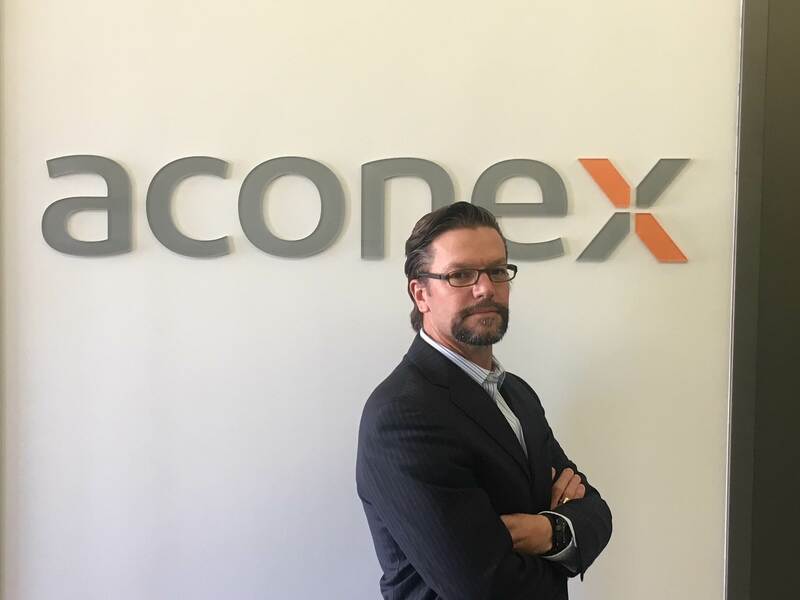 Harley was recently appointed vice president of strategic accounts for the building sector at Australia-based construction management platform, Aconex. As Aconex continues to expand its U.S. presence — it's increased 30% year over year — it's invested substantially in the sales and marketing departments. The company provides tech solutions for any type of commercial, industrial and infrastructure project, including high-profile projects like the California High-Speed Rail and Mexico City International Airport. Harley attributes this success to the company’s "small to all" approach that provides support and a configurable package. Construction Dive spoke with Harley about his recent career move, the cloud and how technology is re-shaping the construction industry. What prompted your move to Aconex? HARLEY: I started off my career as a project controls guy with Bechtel right out of school. Then I moved to Primavera where I used to teach scheduling and our contract tools before moving to the sales side. Just after Oracle acquired Primavera around 10 years ago I moved into marketing there and helped run the strategy for engineering and construction for the last eight years. It's an exciting time to be in the engineering construction tech business. There's a lot of disruption out there. One of the things I was most passionate about, and why I ended up at Aconex, was that for years I'd been advocating for a platform where engineering and construction industries could look at a data set anonymously to see where we could all make our own companies better. That can be an unpopular idea in the U.S., but that's ultimately where things like artificial intelligence (AI), which can help companies benchmark what they're currently doing and compare that against other industry data, is incredibly valuable. If you’re building a hospital between $100-$200 million, we could pull data to see what the standard turnaround time is for a project that size, compare how you’re doing [against that standard] and see what parts of your supply chain are holding you up. That sort of insight is what executives need to be able to move the needle in their business, and understand what leverage they should be pulling or not pulling and where operational efficiency and risk reduction can actually occur. There's no such thing as a construction project that will only have one master builder on it ever again. It will always include multiple agencies and parties. All those parties need to be able to share information and understand who has what. Tell me about the Connected Cost Business and why that is a focus area for Aconex. HARLEY: It's a really interesting chess move. The cost acquisition we made is part of a three-legged stool of scope, schedule and cost. We are taking a lot of good, existing ideas and putting it into a structure that makes it far more consumable for organizations than it used to be. That's ultimately where the interaction for project costing needs to occur and where integration to the finance system becomes important. That cost tool needs to be a multi-disciplinary construction platform that can cover all the things we know controls requires, including bidding, cost controls, contract management, sub-contract management, schedule integration, quality, safety and risk production. We're working on filling all that out within one connected construction platform. What trends have you seen in the construction industry, specifically with connected platforms and the cloud? HARLEY: I think the whole concept of the cloud in general for a lot of construction companies is still relatively new. Controls is an interesting area where you're seeing innovation occur with the appetite for even considering a cloud application. I used to sit on and run an industry strategy council at Oracle where we'd put different CIOs in the room together. Six years ago at that meeting, we started discussing what sections of the business they'd take to the cloud and almost nobody would raise their hand. Two years ago everybody raised their hand. Companies are beginning to figure out they can reduce operational waste. How can technology help close the productivity gap in construction? HARLEY: Areas like AI, automation, robotics and things around the Internet of Things (IoT) — smarter integrated infrastructure — will be places where productivity will see transformational improvement. I also think it'll be interesting how it affects this difficult labor market. I view the trades space as one that should be interesting as far as trying to attract talent. Some of the work that happens in that space is uniquely human. There's a lot you can do in prefabrication and in factories as you start seeing more and more consolidation between mechanical, electrical and plumbing techs and contractors, which I believe we will. Augmented reality (AR) is another interesting part. I think that's ultimately how we'll be interacting with a lot of jobsite information. Virtual reality is more interesting for how you'll be positioning people for walkthroughs and seeing general structures. AR will be for people that really build things and are out there in the field. I think that will be the user interface for a lot of things because vision trumps all your senses combined. I think technology is another emerging way to get people into this business. Not many people coming out of school understand there's this much tech in construction. It's an exciting time to be a part of it. What role will the IoT play in construction? HARLEY: IoT is being applied to a variety of interesting cases. Health and safety is a natural marriage where you have a lot of sensors and location information that can be helpful for keeping people on job sites safe, whether it relates to not going in restricted areas or to air quality concerns. Then you can ultimately put that information back into systems and platforms. As it's automated, it can be integrated into what has to be managed for safety records. There are emerging companies in the wearable space, which will be an interesting one to watch over time. [That space] is pretty well known in the rest of our consumer lives [with products] like Fitbit. Wearables are just as available for jobsite work, whether that gets integrated through a hat, vest, glasses or boots. What are some of the global growth plans for Aconex? HARLEY: We're in over 70 countries today. To provide some scale, our platform has more than 5 million users and stores more than 2.5 billion documents. North America is part of the last frontier and it's a place we're investing a lot more time in now. They've really invested heavily in advancing the U.S. market, which when you look at global construction markets, the U.S. is still a leading market. One of the things I pay a lot of attention to is following the capital and looking at where those major types of investments are being released and where construction output rates are advanced higher than the GDP. In most western economies, I'd say the construction output tends to fall pretty closely in line with most countries' GDPs. The U.S. market is probably somewhere between 2-3%. If you go to emerging areas of the world like Indonesia, China, India or Malaysia, those markets can be operating closer to 6-9%. Being able to do well in those environments means you need to be multilingual, have localized support, have a scalable operating model and service all types of building.